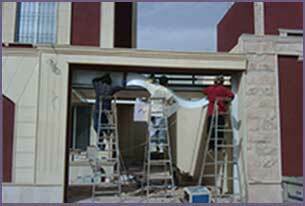 Community Garage Door Service is available to install a new garage door based on a schedule that you determine. We can assist you whether you want to repair your current garage door or upgrade to one that has a more modern appearance and features. Our company has a large selection of designs available for your new garage door, which makes the process of selecting your new style easier and faster. Because we desire your complete satisfaction in everything we do, we install new garage doors made from the best materials available in the industry. When you express interest in new garage door installation, a member of our team meets with you one-on-one to answer your questions and help you figure out a budget. Next, we visit your property in Somerville, MA to determine the actual size of your current garage door. This information is necessary to ensure that we write you an accurate estimate. The last step is to install the garage door. At Community Garage Door Service, we guarantee a perfect fit.